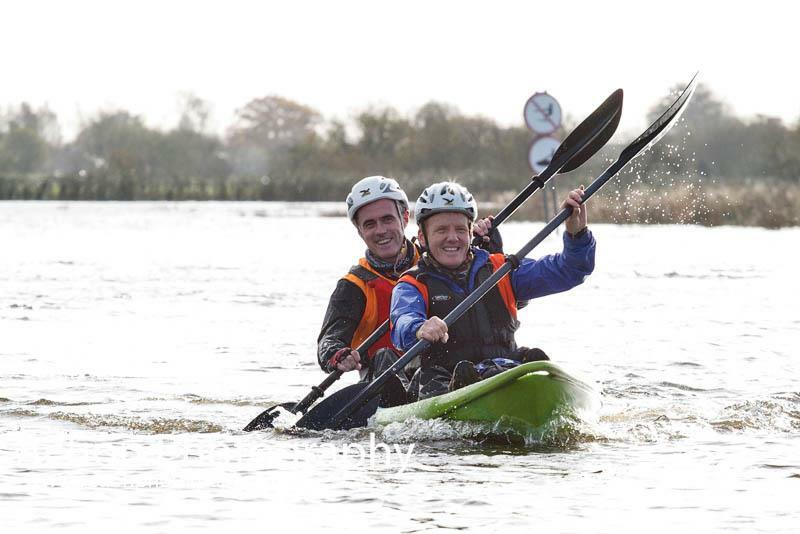 Come and join us and be part of the only pure adventure race series in Ireland, where teams of 2 navigate their way round a unique and unknown course as they run, cycle and kayak. One of the most common questions we get ask is what's involved? Below we try to give you a feel of what takes place during each event. Every event is different but one thing they share in common is that each team of two get 5hrs to visit as many of the controls as they can, as an appoxmaite you can expect to cover the distances below. Kayaking will be on inland flat water, and you will be supplied with kayak, bouyancy aid and paddle. Kayaking will be on Feel Free Gemini sit-on-top kayaks in order to minimise the skill level required. In the unlikely event of you falling out or capsizing, the boat will not sink. If it is overturned just roll it over and get back on. A wetsuit may be a good idea (if you want to wear or carry it for the whole event!! ), but we have not seen any in the series to date - it is your call. You will be running / trekking on various terrains, including tarmac, gravel, muck, grass, heather, riverbeds, rocks, etc. and will need to take extra care during bad weather. Stay together and look after each other. Do NOT wear hiking boots! Instead, wear a pair of strong trainers with good support, or proper trail running shoes. Fell-running cleats are not really suitable, given the variety of terrains and activities you will be involved in. Each event may cover different distances and often they will be split up with other disciplines and secret tasks. No matter how fit you are you will not succeed in a race if you spend all your time running in the wrong direction! 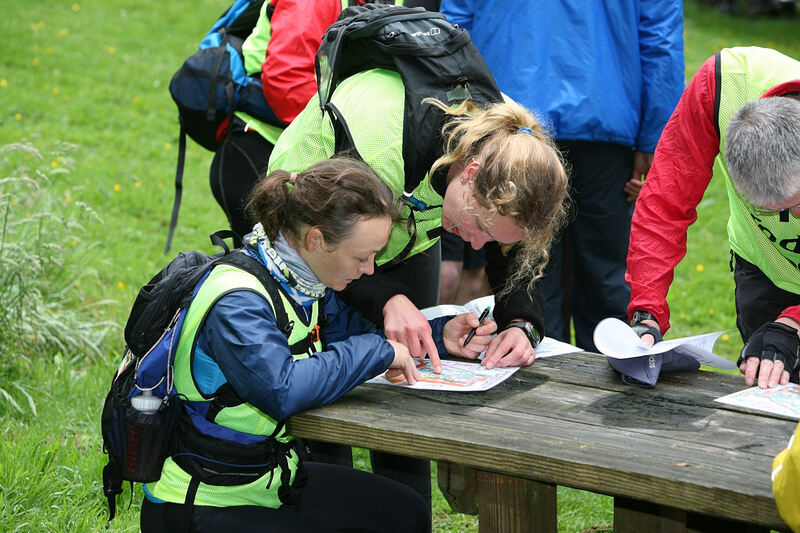 You should be able to engage in basic navigation, in terms of relating your position on a map with your physical location, and any added navigation skills beyond that are a bonus. Navigation will be kept to a minimum with features which are easy to find as checkpoints. Some of the checkpoints will also be the locations for the secret tasks. 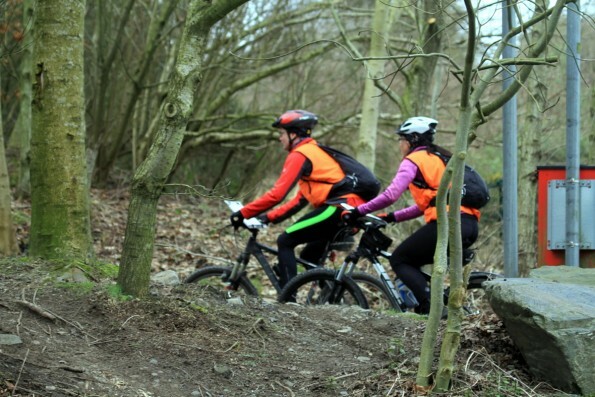 You will need to be a reasonably confident mountain biker as some short sections of the tracks you will use may be narrow and technical. Front suspension may aid your comfort, but is not a must - you will have no problem on a rigid bike if you are a confident rider. The course will generally follow roads and tracks rather than open mountain. 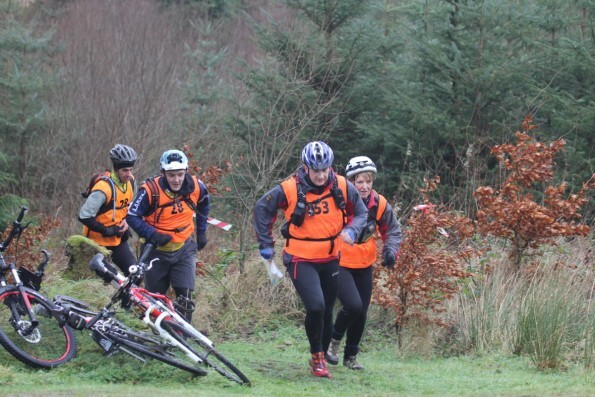 You may have to carry or push your bike at some stage, so be prepared for this. If a section becomes too technical you can always get off and walk. Make sure your bike is in good order and consider your tyre choice carefully as you will be on a mixture of surfaces. Note if you use SPDs you will have to carry your own running shoes for the running/trekking stage. I Can't handle it, think again; you likely CAN handle it if you're reasonably fit and healthy.